I am trying to install Windows 10 on a (soon to be) new gaming rig. 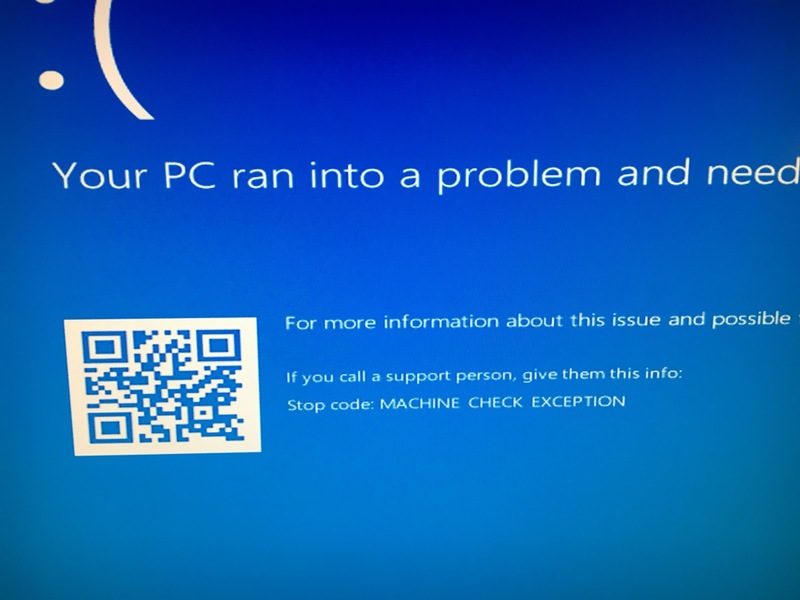 My problem is that I always get machine check exception when booting from USB. 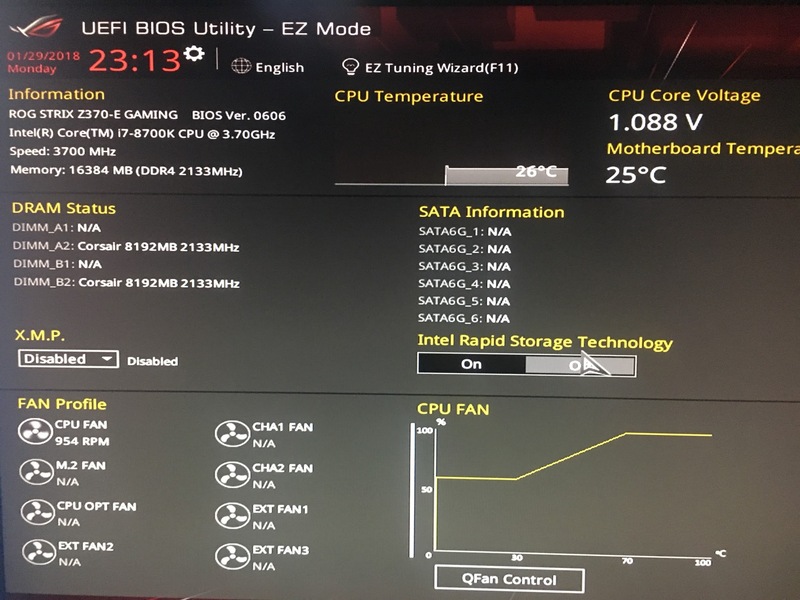 I updated the BIOS for the motherboard to the latest version which is 0606. I took everything not essential out of the motherboard to identify what could be the issue. Info on my whole rig can be found here. I’ve done a memtest86 (V7.4) and it passed without any issues, results here So I guess the memory is not the issue? With only the following as a warning but the whole test suite passes, so I guess it is ok? The processor frequency could be affected by power management features. 'Over-Clocking' or power management features that may affect processor frequency. Also, set any software applications which control power management features to default. Then I applied the detected EXP profile. Still the same MCE exception. Tried running a live Ubuntu, but after selecting the “Try without installing” or “Install…” the screen would get blank and nothing would happen, even with the nomodeset option switched while booting. Is the motherboard broken? CPU or RAM? Or I don't know how to setup the clock speeds (which I don’t)? Or something else. Can anyone give me some hints on how I can proceed? Any help is greatly appreciated thanks. Disable fast boot. This option can mean the motherboard will skip checks before boot. You can re-enable this later after successful installation. Have a look around in the advanced options, i can't really remember where it is but check if the USB and Legacy USB functions are enabled. Try changing your boot mode. I think the default is normally UEFI + Legacy. Try changing this to only UEFI. If that does nothing check the Legacy although UEFI should be the correct mode. Lastly change the secure boot option. It should be enabled by default so try disabling. In the end the processor was the faulty component. Not the answer you're looking for? Browse other questions tagged windows-10 memory cpu motherboard machine-check-exception or ask your own question. Will these parts be compatible together? Building your own PC computer, is there a process checklist?